EZ-Lux™ is a multipurpose, single fiber connector that is able to maintain excellent optical performance even in harsh environments. It features an easy to mate, push-pull locking system to speed-up single fiber connection even in blind mating conditions. EZ-Lux™ is ideal for dynamic environment systems requiring high speed transmission within a small, lightweight connector. The flexibility of the LuxCis® ARINC 801 contact allows the use of either MultiMode or SingleMode fibers for both PC and APC terminations. The EZ-Lux™ product range includes plug, jam-nut and a square flange receptacle. 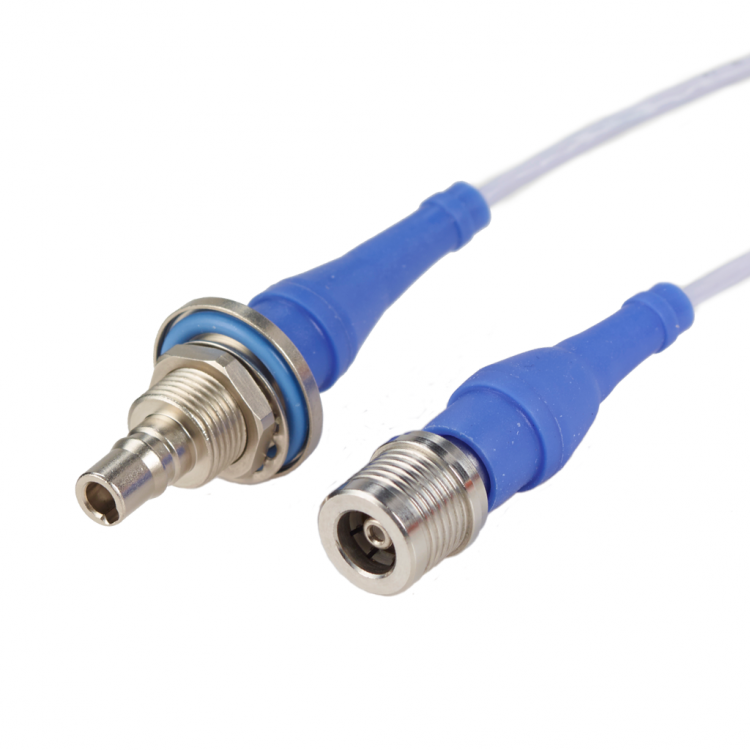 It is available as an individual connector or mounted on cable assemblies.